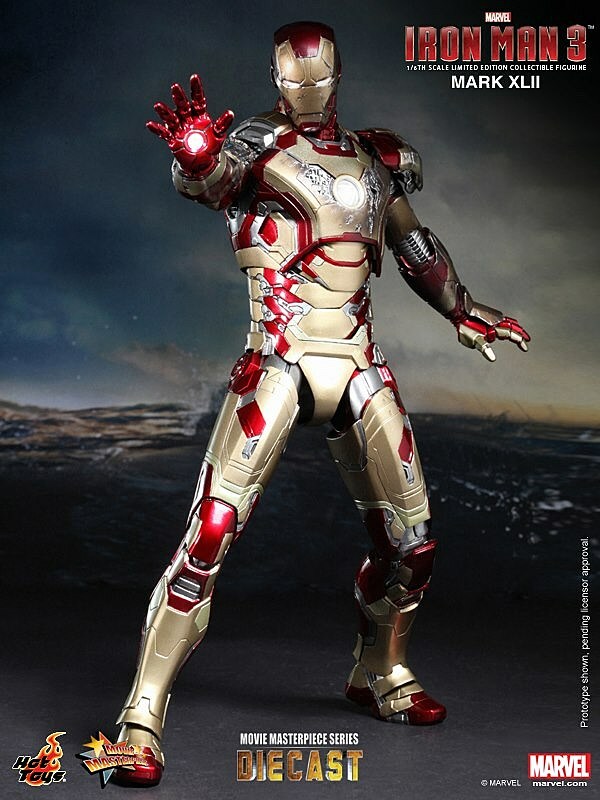 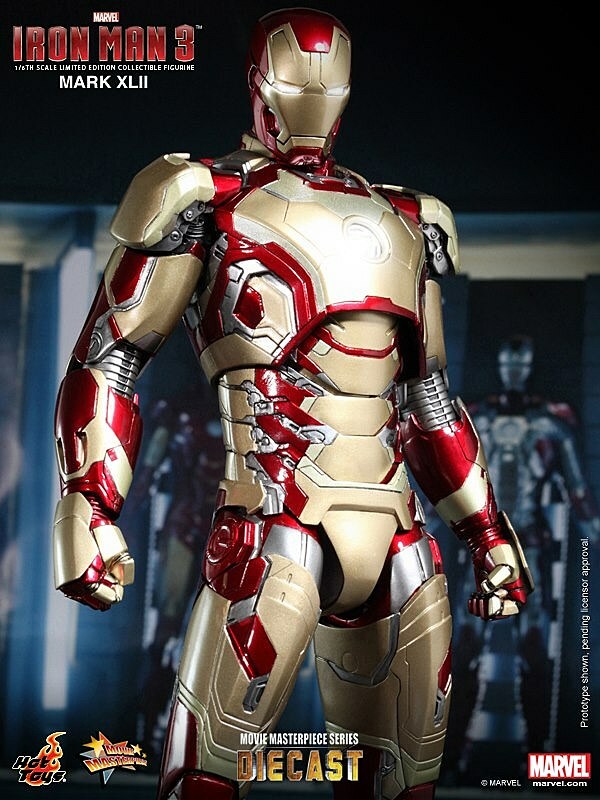 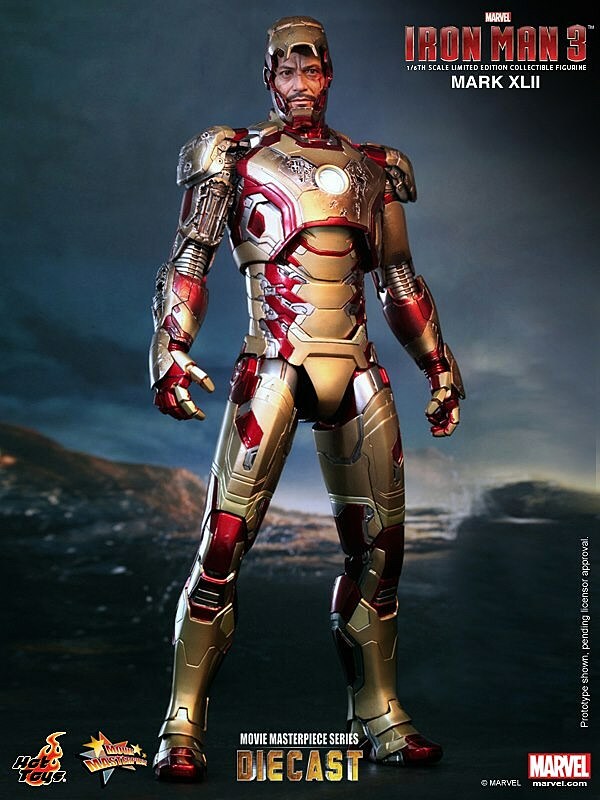 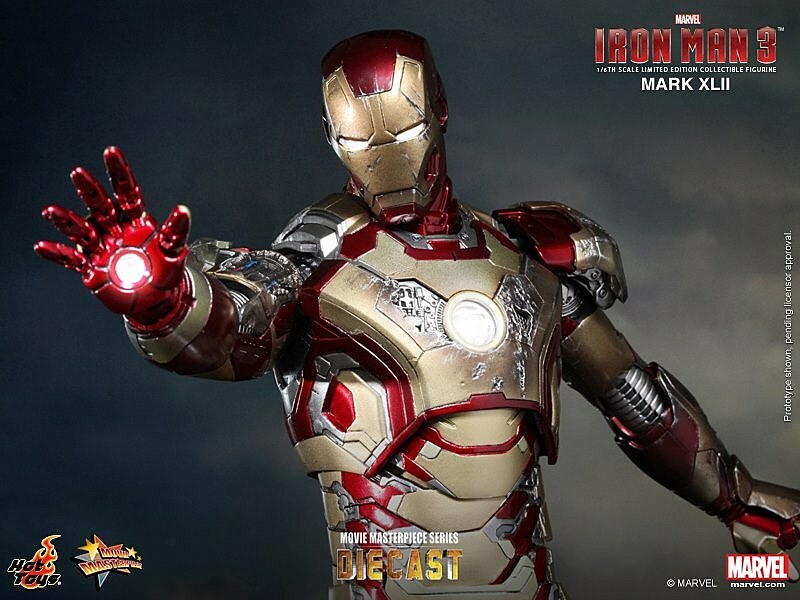 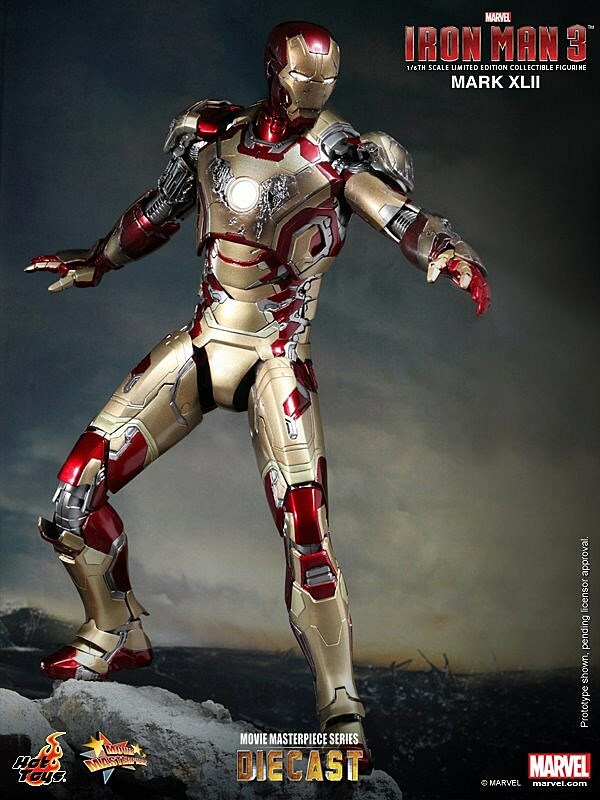 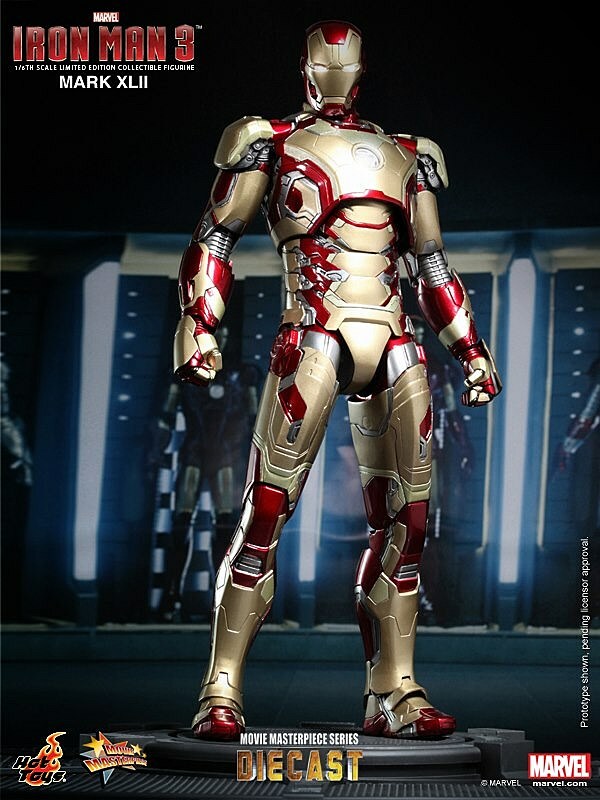 Hot Toys' new diecast take on its 1/6 scale Iron Man 3 Movie Masterpiece Series has finally caught up with Tony Stark's new Mark XLII suit. 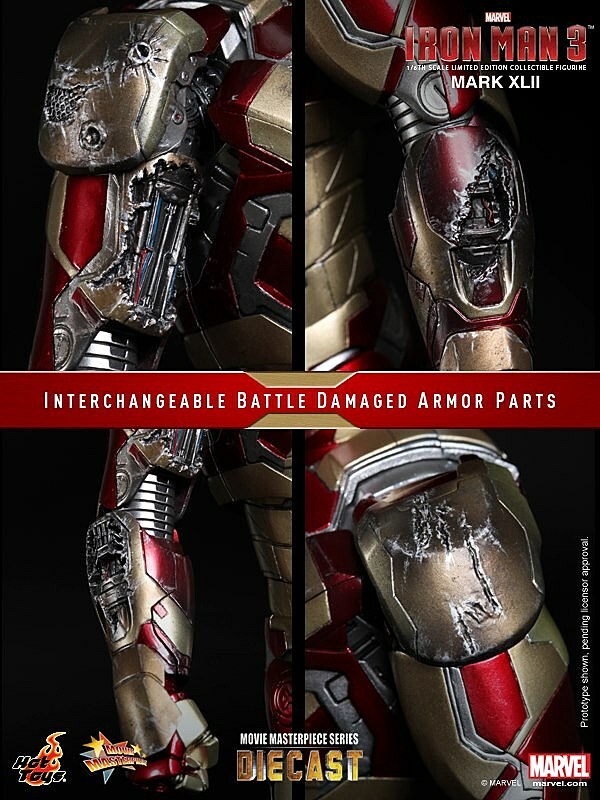 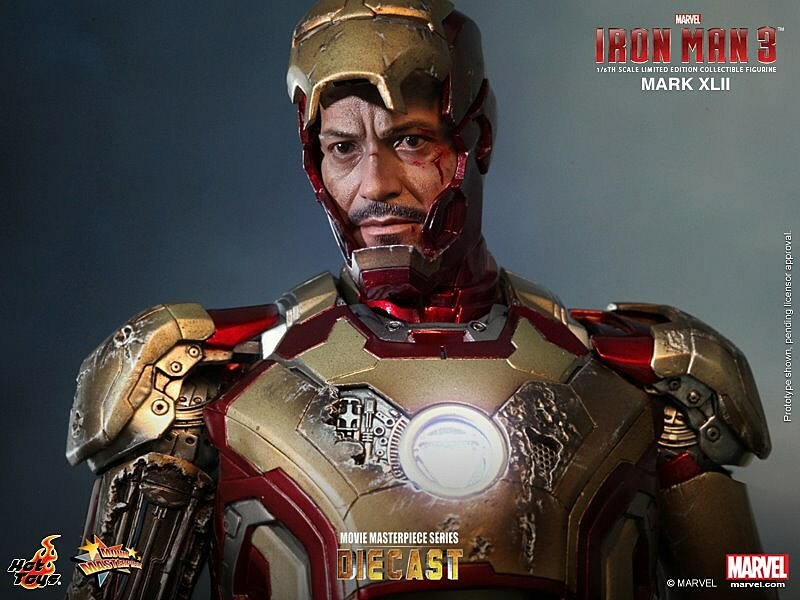 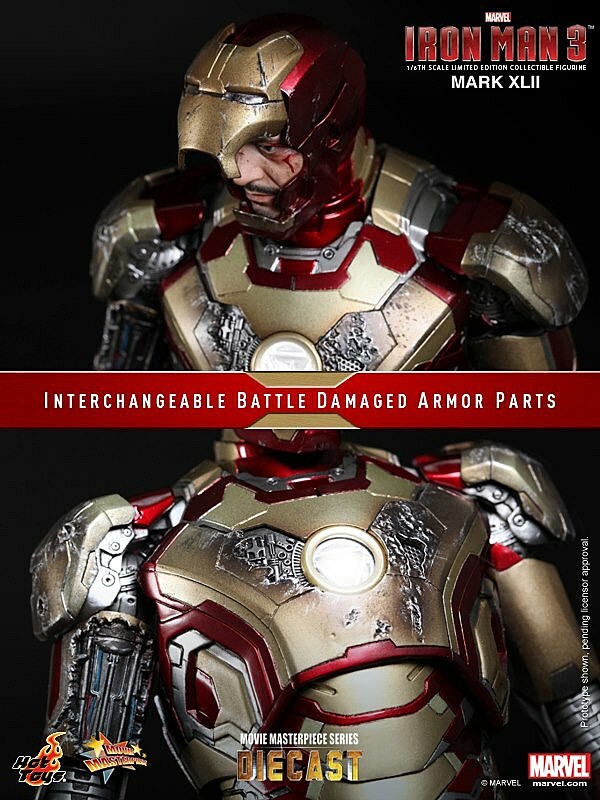 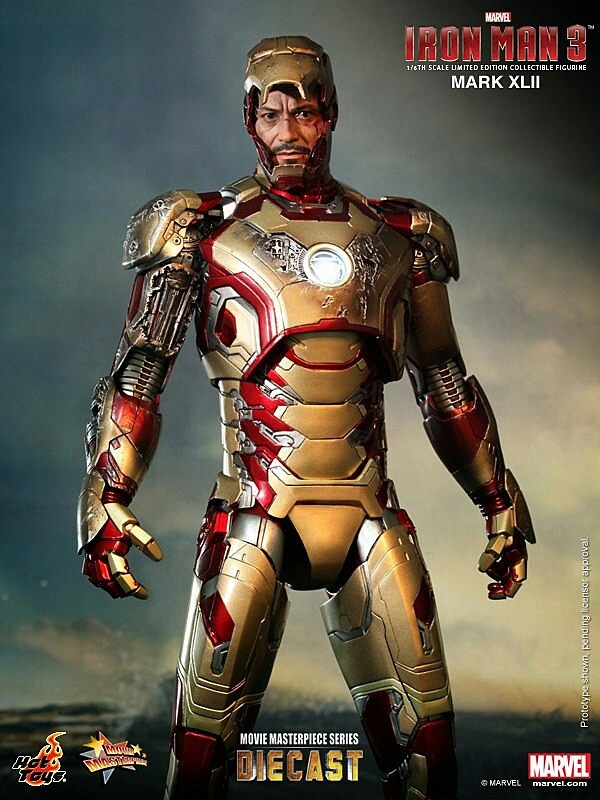 Just as in the IM3 trailers, however, the metal and plastic rendition of the new suit is set to get trashed something fierce, with swappable battle-damaged pieces aplenty - including an unmasked head with a decidedly more roughed up Robert Downey Jr. likeness than the standalone Stark figure. 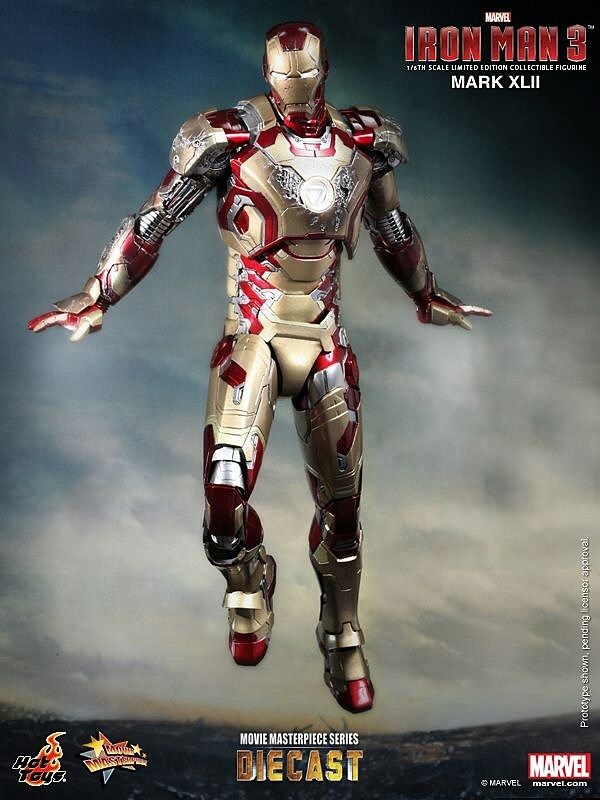 Official pricing info hasn't surfaced yet, but it'll likely go for the same $310 price tag as the 1/6 scale IM3 Iron Patriot figure when it pops up on preorder sites. 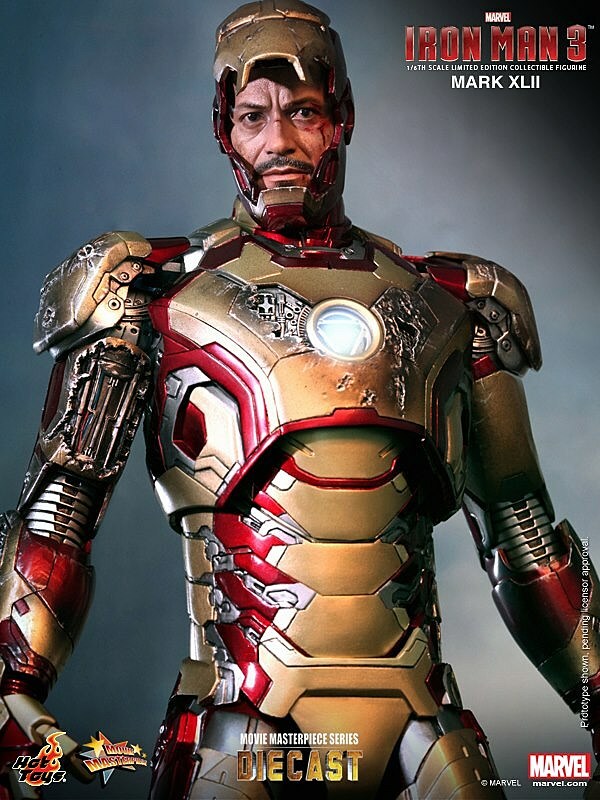 As for a release date? 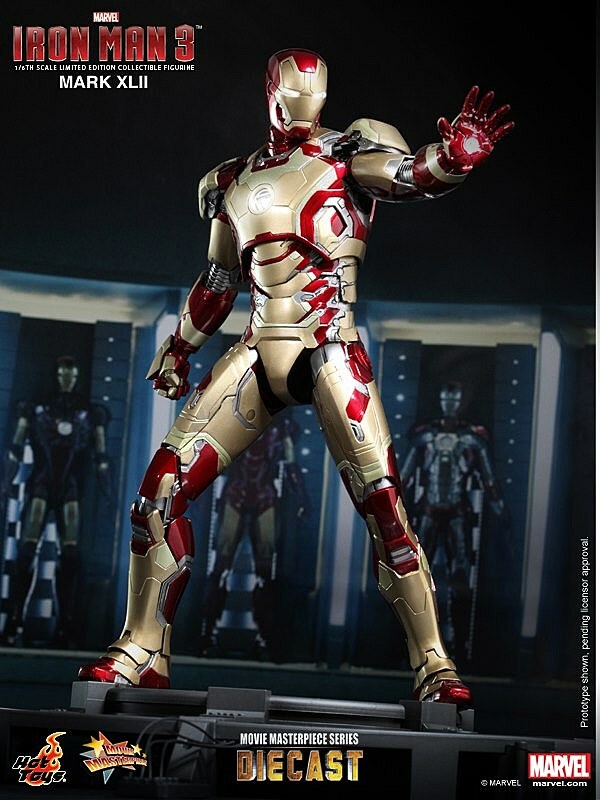 HT says this figure will lead the diecast MMS line, so it may be available by late summer or early fall. 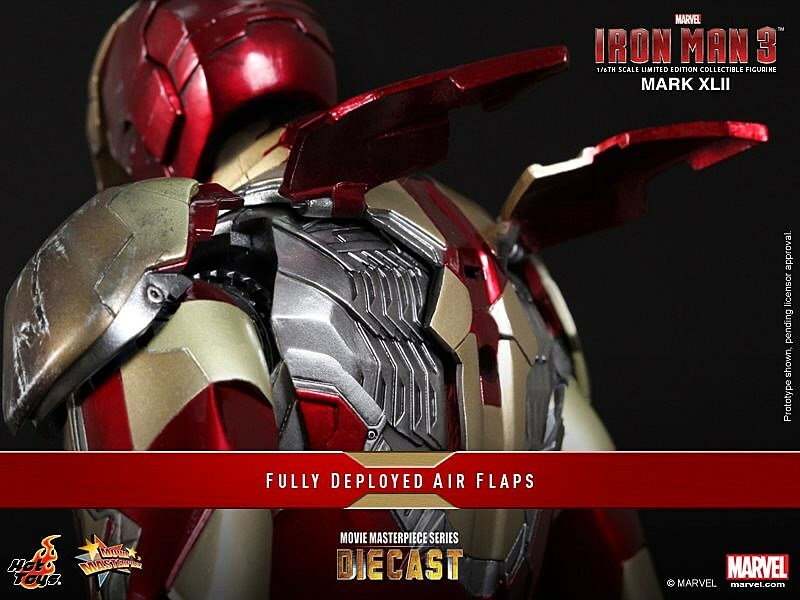 You can get a more thorough look at the new diecast Mark XLII after the cut. 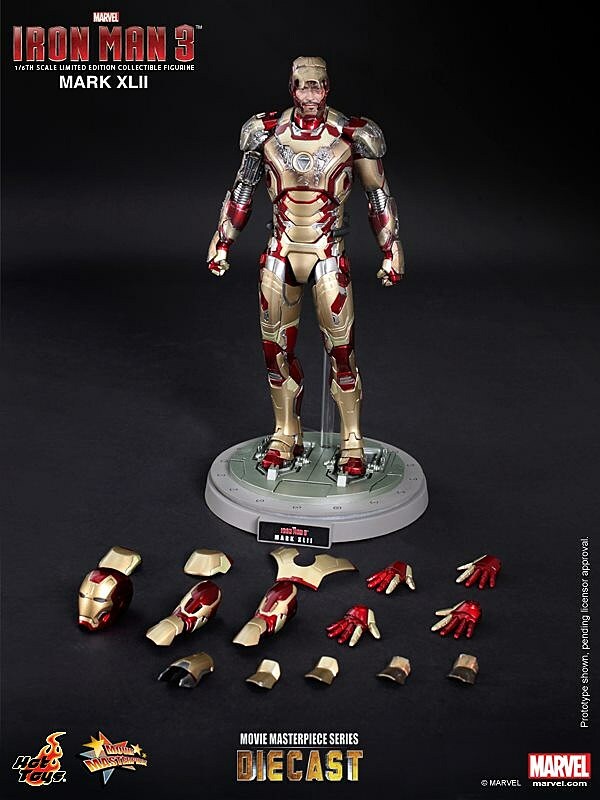 Filed Under: action figures, diecast, Hot Toys, HotToys, iron man, Iron Man 3, Iron Man Mark XLII, IronMan3, IronManMarkXlii, robert downey jr., RobertDowneyJr.